San Cristobal de Las Casas, Chiapas, Mexico. This Centre for Human Rights has received reliable documentary information about threats of displacement and aggression towards families from the Primero de Agosto community who are supporters of the Zapatista Army of National Liberation (EZLN); the actions were committed by members of the Independent Central of Agricultural workers and Campesinos – Historical (CIOAC-H), who are protected in the region by the municipal government of Las Margaritas. According to information, today, December 17, 2014, at approximately 6 am, 50 people, members of the CIOAC-H from the ejido Miguel Hidalgo, entered the community of Primero de Agosto, all armed with sticks and machetes and some of them carrying guns. 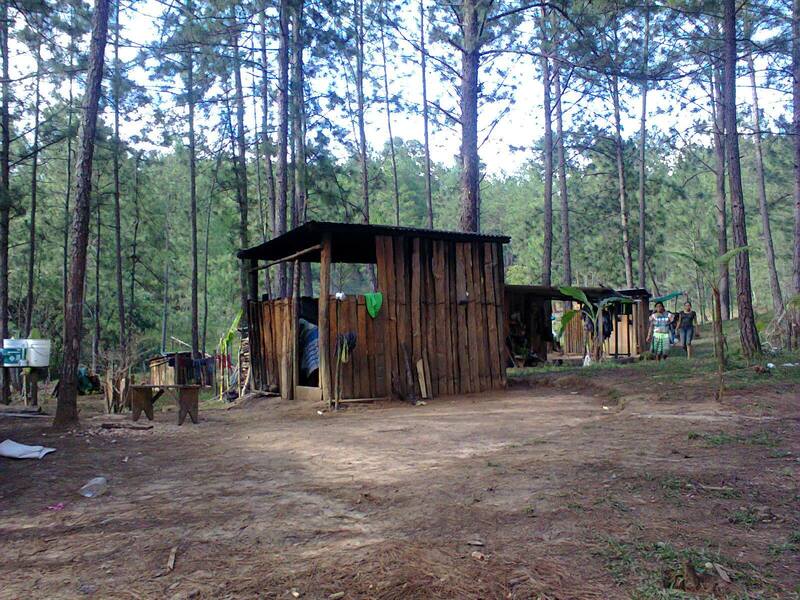 The situation of violence is critical because a group of people from CIOAC-H are attacking the families of EZLN supporters, they have thrown down the fencing where the animals are penned, and are destroying the houses. Second: Prevent the forced displacement of the families of EZLN supporters, respecting and guaranteeing the rights enshrined in international declarations and conventions relating to the autonomy and self-determination of indigenous peoples. Third: Punish those members of the CIOAC-H who are destroying property and assaulting the families of the community of Primero de Agosto. 17 Tojolabal families, in need of work and access to land, took possession of a piece of unused land called “predio el Roble”, which was not occupied, nor does it belong to the ejido Miguel Hidalgo. These lands were recovered in 1994 by the EZLN. Families of Primero de Agosto have been attacked and threatened by the ejidatarios of Miguel Hidalgo, since they took possession of the land in 2013. The Centre for Human Rights has made representations to the authorities of the municipality of Las Margaritas, from the beginning of the conflict, through oficio 052-004-13/EAI-115/2013. However the situation of violence in the area has escalated, to the extent that on May 9, 2014, Arturo Pérez López was wounded in the neck with a machete by Aureliano Méndez Jiménez, Secretary of the Supervisory Board of Miguel Hidalgo and member of the CIOAC-H, but up to now the authorities have not acted in regard to this. Finally we ask national and international civil society to respond in solidarity by sharing information about the actions reported, and by signing and sending this urgent appeal to the authorities listed here.